This rule is designed to help monitor fuel level in real time by receiving immediate notifications on any drastical fuel level changes: decreases or increases. 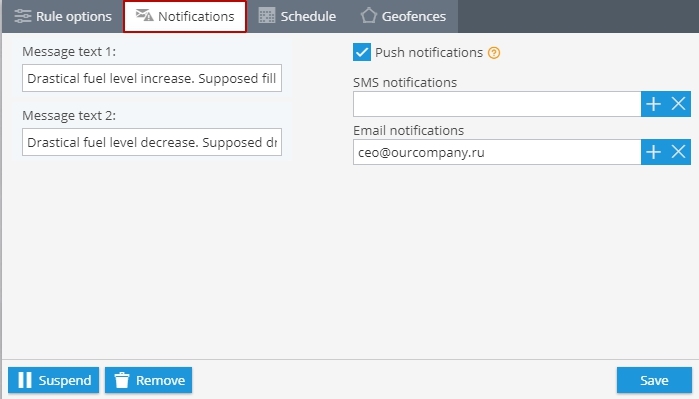 Notifications can be sent via sms and/or email. Before creating the rule, please add and configure a fuel level sensor you want to monitor. Open Alerts app in the bottom left corner of the menu, proceed with the SET RULES option, and click on the “Add rule” button. Type a rule name, choose an object you wish this rule to be applied for, and then select “Fuel level change” event type. Select a type of fuel level sensor from a dropdown menu. Edit text messages, if needed, and specify types of notifications (push notifications, SMS, emails). This section allows you to specify certain days and time you want the rule to be active on. 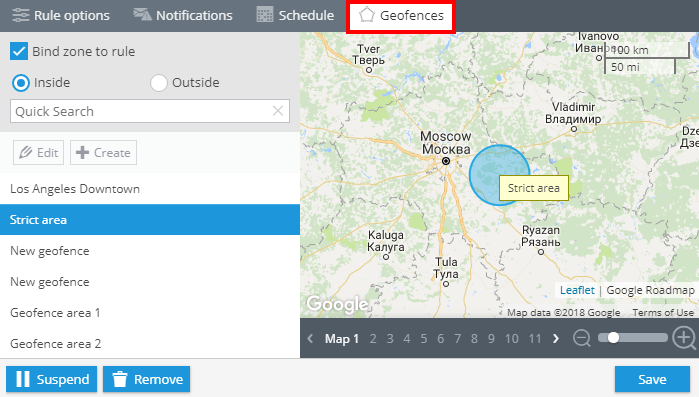 Here you can bind the rule to a particular geofence. 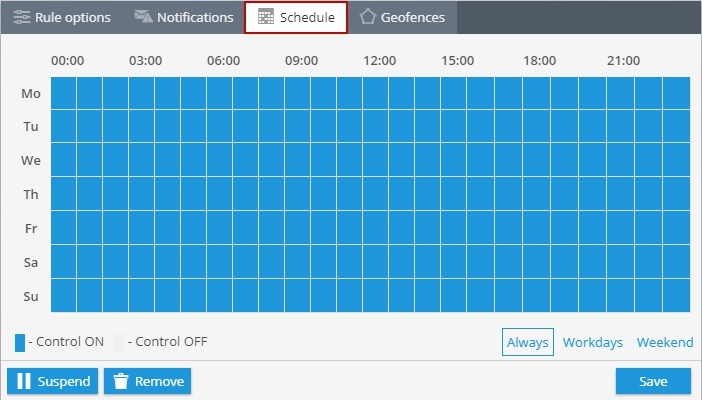 You just need to select a geofence from the list and specify whether the rule should be active inside or outside. 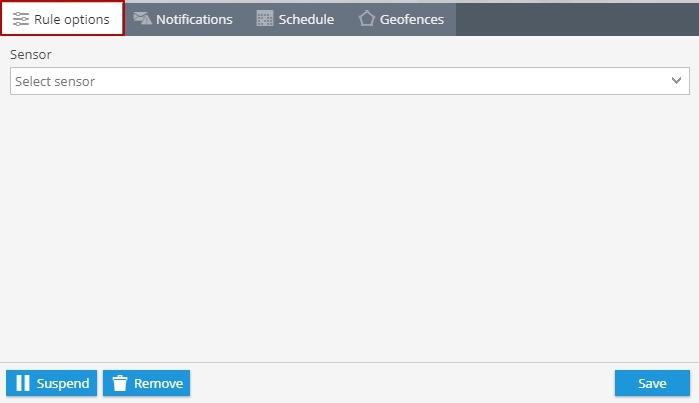 If you need to create a new geofence and bind it to the rule, you can do it without leaving this section. Please note, you have to create this rule per each object which fuel level changes you would like to monitor.